Singh Hotels Pvt. Ltd. forayed into hospitality business in 1980 with a mission to offer world-class services to global tourists at affordable prices. The Group currently owns Hotel Amar and Hotel Amar Yatri Niwas. Hotel Amar is 3-Star Deluxe Govt. approved property popular among the elite-class tourists from all over the world. 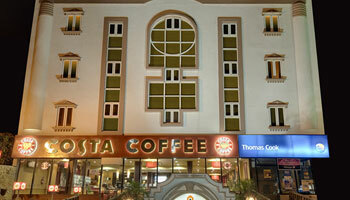 Our second property, Hotel Amar Yatri Niwas, is exclusively built keeping in mind the needs of budget-class travelers. All in all, whether you’re looking for a luxury stay or homely comfort in Agra, we have an ideal hotel for you. Step into Hotel Amar Yarti Niwas. Awaken to the freshness of Roses. Vibe to the perfection of our service. Rest in the Comfort of our hospitality. Great things can happen because we behold you with ultimate comfort in the city of Taj, which stands as symbol of love. Located at the prime tourist junction and just a stone’s throw away from one of the most wondrous places of history – Tajmahal, Hotel Amar Yatri is an ideal budget hotel with 41 well furnished centrally air conditioned rooms with modern amenities designed for sheer comfort where you get the value for your money. A world where modern comfort meets gracious hospitality. An economical option for both families and business tourists. Doctor on Call, Airport Transportation, Laundry Facilities, Room Service, Backup Generator, Currency Exchange, Breakfast Services, Parking, Security Guard, Travel Counter. Cable/Satellite TV, Air Conditioning Room, Toothbrush/Razor on Request, House Keeping, Wakeup Calls, DVD Player, Iron/Ironing Board, H/C Water, Attached Bathroom.